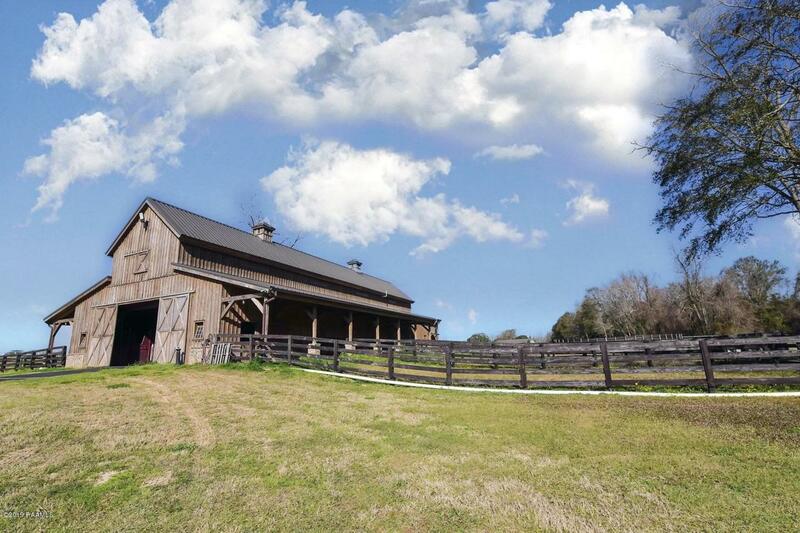 This spectacular property is a horseman's paradise. Located south of Opelousas in St. Landry Parish about 1 mile West of I-49 you will find this all-inclusive equestrian property which includes a 12-stall estate type horse barn, paddock off of each stall, rubber matting on top of the concrete floors, which also features a small office, full bathroom with shower, tack room, washer and dryer, bunkroom with kitchenette, and upstairs furnished loft apartment with complete kitchen, washer/dryer, full bathroom and custom furniture purchased from Colorado specifically to match the barn. The barn is of post and beam wood construction and is approx. 40' by 88' and has lean-tos on both sides measuring 10'x58'. Constructed on a concrete slab measuring approx. 80'x140'. 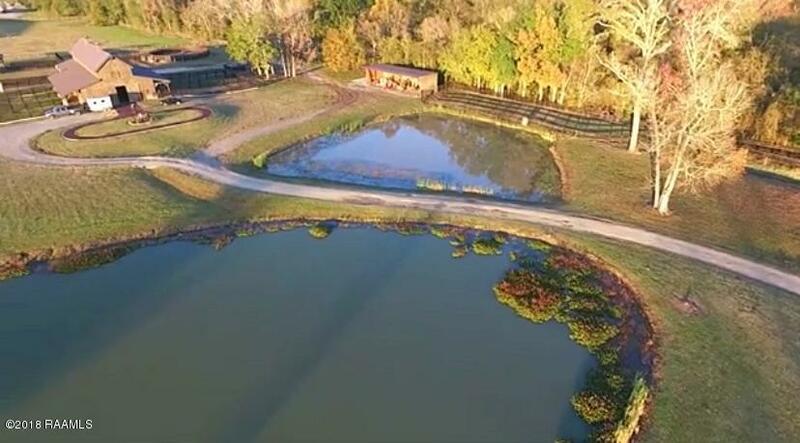 There are 3 mare pastures, a tractor/tool shed, 2 stocked ponds, BBQ shack on one of the ponds, 6-horse Euro Cycle, Round Pen, Wash Rack inside barn, Icemaker for legs and access to the 2 million dollar training track. This site is irregular shaped, well drained, wood-fenced parameters, underground electrical, 2-lane asphalt paved drive with open ditch drainage and priced at appraised value of $1,210,000!